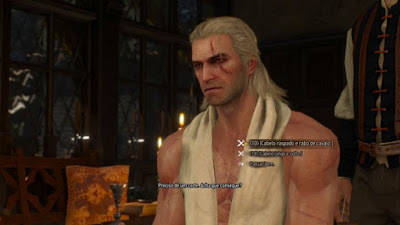 Geralt can change not only the beard, but hair in a nearby barber. But make no mistake, as this will not give you any physical benefit or improvement attribute, just modify the appearance of the protagonist. So go and shave / cut whenever you want to change the look. Within the game, open the map menu button and select a nearby barber on the map. To find, just find a scissors icon on your map. Check with the markings button to follow the path, if you are far away. Inside the site, just talk to the barber to get them to Geralt's beard. The cuts vary in price but are modest value, so don't worry about spending fortunes. Not all the barbers make all the cuts and the full beard, but you can always add more options to download additional content. If you want a new haircut, just talk again with the local barber to do it. Usually, every major city has a barber, and all charge for shaving. The only one that does not charge is located in White Orchard, but only after being saved in the forest.